Time for a round up of announced artists to date. Our 2016 event played host to over 2,200 artists and this year we expect to welcome around 2,500 artists! A first first selection has been displayed here, all announced artists can be found at a-d-e.nl/artists. 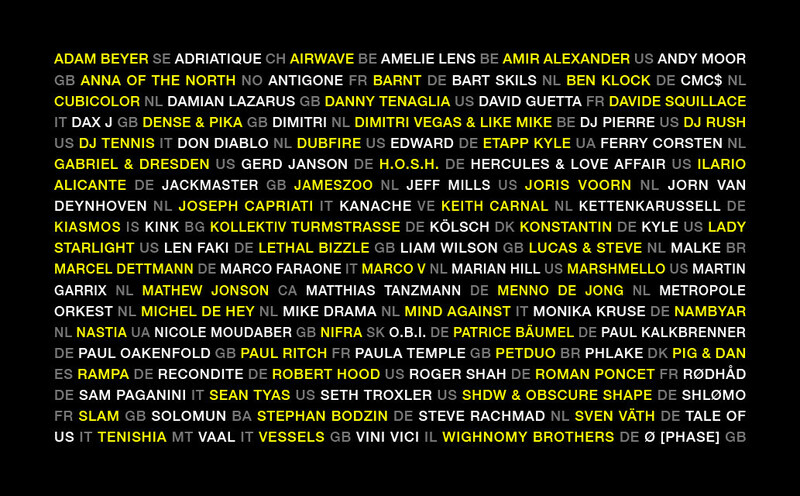 ADE’s Passes are available here, single tickets can be found here. Not sure which ticket to buy? Here's everything you need to know.